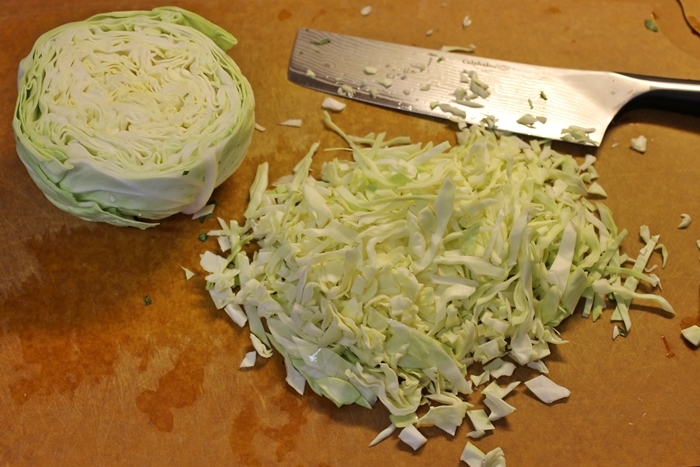 Chop up your cabbage, roughly. I bought the smallest head on the shelf and used about half. 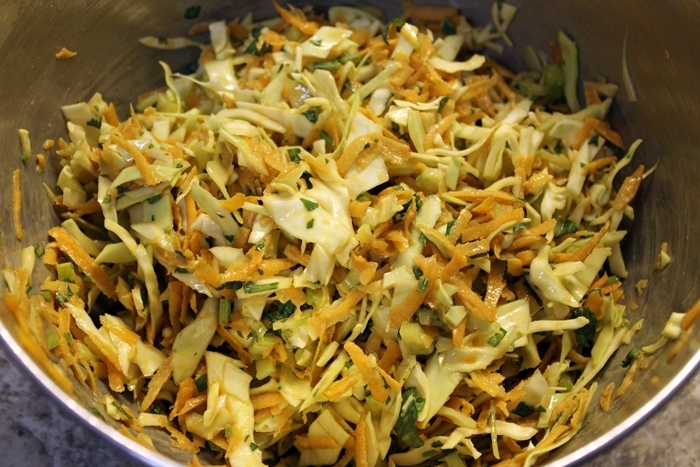 Toss it all in a bowl big enough to mix everything well. Peel and shred your carrot into the bowl. Chop or shred your celery. 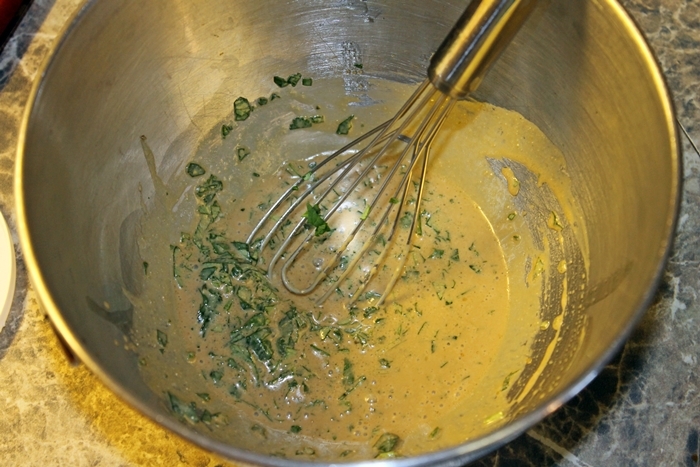 Whisk the vinegar, sour cream, and oil together. Roughly chop the cilantro and add to the dressing. I thought it made for a very pretty dish too!